Europe's public authorities are major consumers, with public procurement expenditure covering about 16% of European Gross Domestic product. 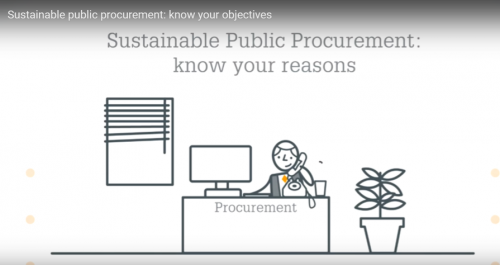 By using their purchasing power to choose environmentally friendly goods, services and works – a practice called Green Public Procurement (GPP) or green purchasing – they can make an important contribution to sustainable consumption and production. GPP, including sustainable procurement initiatives, tools and guidance, has a key role to play in the EU's efforts to become a more resource-efficient economy. It can help stimulate a critical mass of demand for more sustainable goods and services which otherwise would be difficult to get onto the market. GPP is therefore a strong stimulus for eco-innovation and circular economy. In the Communication “Public procurement for a better environment” (COM (2008) 400) the Commission recommended the creation of a process for setting common GPP criteria. The criteria used by EU Member States should be similar to avoid a distortion of the single market and a reduction of EU-wide competition. Having common criteria reduces considerably the administrative burden for economic operators and for public administrations implementing GPP. Common GPP criteria are of a particular benefit to companies operating in more than one Member State as well as SMEs (whose capacity to master differing procurement procedures is limited). 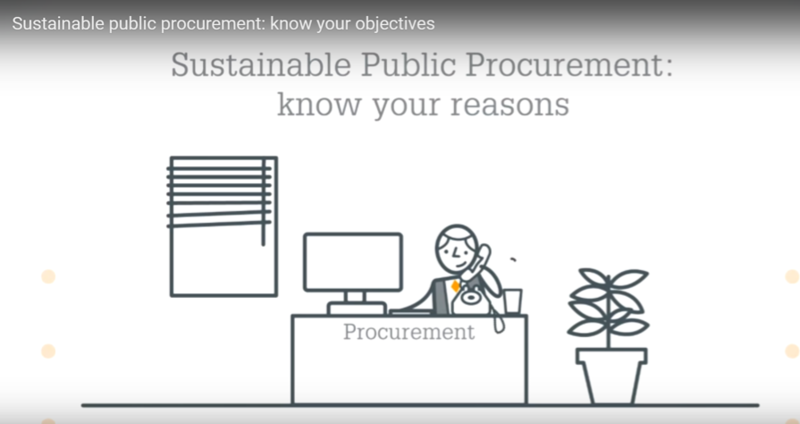 The basic concept of GPP relies on having clear, verifiable, justifiable and ambitious environmental criteria for products and services in the public procurement process, based on a life-cycle approach and scientific evidence base. The European Commission and a number of EU Member States have developed guidance in this area, in the form of national GPP criteria. These are based on data from an evidence base, on existing ecolabel criteria and on information collected from stakeholders of industry, civil society and Member States. The evidence base uses available scientific information and data, adopts a life-cycle approach and engages stakeholders who meet to discuss issues and develop consensus. the comprehensive criteria, which are suitable for those who wish to purchase the best environmental products available on the market, and may require additional verification effort or a slight increase in cost compared to other products with the same functionality. GPP does not set out to detail each and every aspect of a product’s life cycle. Rather, by judicious use of published ecolabel and/or life cycle information, it focuses on key aspects. Since 2008, the Commission has developed more than 20 common GPP criteria covering various product and service groups. The priority sectors for implementing GPP were selected through a multi-criteria analysis including: scope for environmental improvement; public expenditure; potential impact on suppliers; potential for setting an example to private or corporate consumers; political sensitivity; existence of relevant and easy-to-use criteria; market availability and economic efficiency. The criteria are regularly updated (see links in the box to the right). The GPP website with links to these resources plus studies, projects, videos, networks, national links, GPP examples, court cases and legal and policy background, training materials and documents for new criteria development. CO2 emissions would be cut by 15 million tonnes per year if the whole EU adopted the same environmental criteria for lighting and office equipment as the City of Turku, Finland - reducing electricity consumption by 50%. 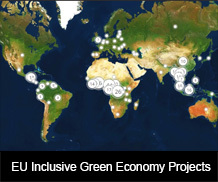 Over the last several years, there has been growing political commitment to promote GPP at international level, with sustainable procurement policies having been launched in many OECD countries outside the EU (USA, Japan, Canada, Australia, and South Korea), as well as in rapidly developing countries (such as China, Thailand, and Philippines). Already in 2002, the OECD adopted a Recommendation on green public procurement, while in the same year, as a follow-up to the Johannesburg World Summit on Sustainable Development, a Marrakech Task force on sustainable procurement was created with the aim of spreading sustainable (green) public procurement practices. More recently, the 10YFP / One Planet Network Programme on Sustainable Public Procurement (SPP) was developed as a global multi-stakeholder platform supporting the implementation of SPP around the world. The 10YFP / One Planet Network SPP Programme, led by UN Environment together with Local Governments for Sustainability (ICLEI) and the Korean Environmental Industry and Technology Institute, builds synergies between diverse partners to achieve the SDG target on SPP. Examples of their activities include the Asia Pacific Green Public Procurement Partnership Project, which supports the institutionalisation and implementation of green public procurement and eco-labelling of ASEAN countries, and the project “Towards a Sustainable Public Procurement System in Uruguay”. Another international cooperation initiative supported by the EU is the Sustainable Public Procurement and Ecolabelling (SPPEL) project, implemented by UN Environment. The project combines the two elements of ecolabelling and sustainable public procurement to stimulate the demand and supply of sustainable products in countries across the world. More specifically, the project provides capacity development and technical assistance to public and private sectors on the development and implementation of SPP policies and the use of eco-labelling. SPP is also promoted under the EU SWITCH programme, implemented in Asia, Africa and the Mediterranean region. This is achieved by sharing of relevant knowledge, know-how and best practices under the programme’s policy support components, as well as through the implementation of grant projects aiming at encouraging a switch to sustainable consumption patterns and behaviour amongst consumer groups, civil society stakeholders and the public sector.